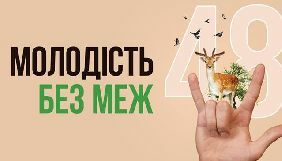 NewsOne pushes Ukrainians to the split of the country, religious war and anti-American hysteria - Детектор медіа. 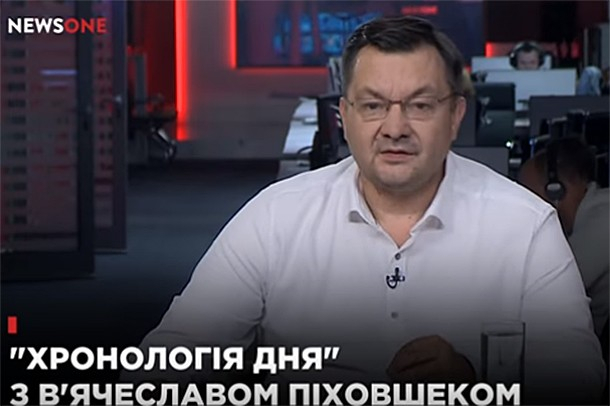 “Detector Media” have researched several broadcasts of the "Chronology of the day with VyacheslavPikhovshek" and "Subjective Summary" of various hosts on the NewsOne channel.We have found fakes, manipulation and retransmission of Russia's messages. NewsOne channel, with 100 pct of shares having recently moved to the ex-deputy head of the administration of Yanukovych Andriy Portnov, loves subjectivity. Here you can find such "interesting" formats as "subjective summary" or subjective "chronology of the day". Why is the channel so fond of these genres? Everything is simple: they are extremely convenient for manipulations. While I watched this recitative from a variety of odious figures — it was not easy! — I really wanted to turn off the video and go out of the window. "You can not just take and talk nonsense in the air", — it burst in my head. You can! This is practiced daily on NewsOne. 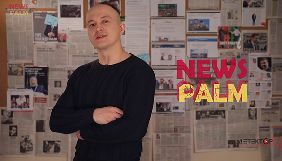 So, recalling the host of the "Heads and Tails" show, who, according to the professional duty, had to eat a live octopus, I sat down to watch and make notes of the "Subjective Summary" on NewsOne by Vyacheslav Pikhovshek, Olena Lukash and Dmytro Spivak. All the more so, because, in particular, the National Council on Television and Radio Broadcasting appointed an extraordinary inspection of the TV channel for their statements. Let us start with the summary from Vyacheslav Pikhovshek. Here, the juggling of terms, facts, and persons is extremely skillful. When listening to his one hour (!) 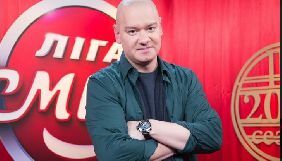 broadcasts "Chronology of the day" it is very difficult to oppose Vyacheslav. To be more precise, this is impossible. Pikhovshek uses the lack of feedback and dictates his agenda into the heads of the audience. It is convenient. He adorns his thoughts with phrases "in my opinion", "subjectively" and so on. But I have an urgent question: why does this person occupy hours of airtime on a TV channel every week? Why do viewers have to look at the world through the prism of his viewes? Why are they so valuable? Pikhovshek - "Soldier of the Revolution"
It is unknown. Vyacheslav is a scandalous journalist who became famous for performing temniks on the TV channel "1 + 1" during the presidency of Kuchma. From 1999 to 2005, he was the editor-in-chief of the TSN. 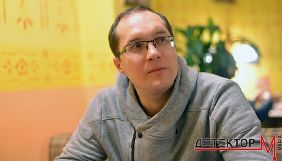 Mykola Melnycheko (whose films made noise in the autumn of 2000) described Pikhovshek as follows: "The fan of Kuchma, Medvedchuk, Volkov and a number of other personalities who are associated with freedom of speech very weakly. One of the salaried deliverers of ideologemes existing in the Presidential Administration, translator of Kuchma speeches to the TV language. The most talented presidential propagandist." Actually, on these films, Pikhovshek, addresses to Kuchma: "I am a soldier of the revolution. As you tell me, so will I do because you decide where everyone works and who works at what places." However, it was long before the "cassette scandal" and 20 years have passed since then. What's up there with Medvedchuk? First, it seems that Pikhovshek’s sympathy to Viktor Medvedchuk has not disappeared. On September 10, in the broadcast "Chronology of the day", he read the text from the site of the Medvedchuk’s party "Ukrainian Choice" entitled "The Court of Appeal demanded to refute cynically false accusations of People's Deputy Leshenko" for a few minutes. OnSeptember 13, in the same broadcast: "ViktorMedvedchuk, “UkrainianChoice”, party “ForLife”, saidabouttheactionsthatwereorganizedunderhisoffice: "Actionsorganizedbythe representativesofthe“partyofwar”... This is a vicious reaction to a consistent and principled position on the establishment of peace in the Donbass, on restoring full-fledged economic relations with Russia and the CIS countries". On September 16, in “Subjective summary”, Pikhovshek devoted five minutes of the broadcast to Medvedchuk. He cited an interview with Medvedchuk, who gave it to the observer of the Kyiv office of the Austrian television channel ORF Christian Ferdinand Wehrschutz. Then he transmitted the material of Roman Oleyarchik in the Financial Times, from which he also chose quotes about "Mr. Medvedchuk." We also find out that "influential Wall Street Journal" wrote about Medvedchuk in the text that was in fact about Nadia Savchenko. And a resume from Vyacheslav: "But all this, from my point of view, dear spectators, is without reason. Except for the statement of Viktor Vladimirovich's ability to achieve an effective exchange of prisoners. These facts are understandable" thus hinting it was Medvedchuk who pulled Savchenko out of the Russian prison. It looks like at Pikhovshek’s – as on “112 Ukraine” channel where almost every statement about Medvedchuk is already the news. Read more about the situation on “112” in the material “112 citations of Medvedchuk”. The Ukrainian Orthodox Church of the Moscow Patriarchate stands as a separate point on the agenda of Vyacheslav Pikhovshek. Although, he does not call it "Moscow Patriarchate", and only "our" and "Ukrainian". Sometimes, it seemed to me that Pikhovshek became its press secretary, because in his broadcasts, he does not separate himself from this church at all, using the pronoun "we" constantly in relation to it. Besides, his "conclusions" are very similar to the messages of Russian propaganda . On September 10, in the first five minutes of his broadcast, Pikhovshek transmitted the position of the UAOC MP on the granting of the tomos on autocephaly to the Orthodox Church in Ukraine. For a start, Vyacheslav chose a message from the Zaporizhzhya Diocese of the UAOC MP, in which they quoted the Patriarch of Jerusalem and Palestine Theophilus III: "Globalization, - he said, interpreting the events occuring around our church, - aims at the destruction of the Orthodox Church, - see how rigidly he formulates. - The tentacles of globalization are trying to penetrate the church’s body to destroy it. Thisishappeningallovertheworld, includinginUkraine... So, the Jerusalem Сhurch is against interference and for the Metropolitan Onuphrius." Then Pikhovshek submits the position of Constantinople and beats an alarm: "The Constantinople Patriarchate sends a new signal regarding its resolve in the Ukrainian direction. And how many more such signals they need to understand: the situation of the expectation of changing the position of Constantinople in Ukraine for our church is a losing strategy." After that he read the statement of the Russian Orthodox Church abroad that the Patriarchate of Constantinople should have asked permission of Patriarch of Moscow Kiril and Metropolitan of Kyiv Onuphrius before sending exarchs to Ukraine: "This step of His Holiness Patriarch Bartholomew and his fellow archpastors threatens the unity of the Holy Orthodoxy." 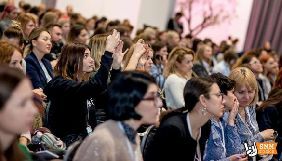 Although in fact, the Patriarchy in Moscow was proclaimed without the inclusion of the Kyiv Metropolia in it. In the letter of 1686 (about the re-submission of the Ukrainian Orthodox Church to Moscow), there was only about granting the Moscow Patriarch a permit to certify the Kyiv Metropolitan. But this metropolitan had to further recognize the Ecumenical Patriarch as his superior and to be in his jurisdiction. Further, Pikhovshek quoted the Russian news agency TASS, which transmitted the position on this issue of the representative of the Moscow Patriarchate Volodymyr Legoyda: he opposed the provision of autocephaly to the Ukrainian Independent Church. 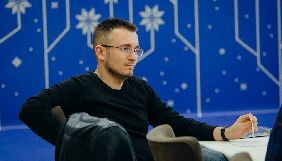 On September 11, Vyacheslav again cites Legoida about the "one people": "From Moscow, they report: "There are personal ambitions and politics behind the establishment of a single domestic church in Ukraine... It is unclear why break this unity, why break the unity of fraternal peoples and, as many consider, one people"". On September 13, the broadcast started again with church issues. It is obvious it is a priority on Vyacheslav Pikhovshek's agenda. He retells an interview with Metropolitan Anthonius, a representative of the Moscow Patriarchate: "His Grace was further asked what would happen to our church after granting autocephaly to the schismatics. His Grace courageously replied: "Our church does not recognize these actions... Disputes will start again in the families of Ukrainians, they will capture our temples, brother will go against his brother, new conflicts will arise"". By the way, we have heard the same thing on "Inter" from politicians of the "Opposition Bloc" . Pikhovshek continues: "So, our Ukrainian Orthodox Church of Blessed Metropolitan Onufrius does not recognize the Bartholomew’s decision on autocephaly, - this is my conclusion. Nobody agrees on political autocephaly, our church is against, we stand against it. We together with our church, we together with the baptismal Metropolitan Onufrius are the church. We are preparing for a new schism and capture of temples... If you want to serve with the Americans and Filaret – it is without us." Pikhovshek repeatedly emphasizes in his broadcasts the fact that the establishment of a new domestic Autocephalous Orthodox Church in Ukraine is dictated by "Americans" (in "Chronology of the day" dated September 11 and "Subjective summary" dated September 16). He associates it with the visit to Ukraine of the Ambassador of the United States on International Religious Freedom Samuel Brownback: "There were reports of his visits to Istanbul to meet with Patriarch Bartholomew. My estimation is that Sam Brownback's visit - this is the last touch that was missing in order to have a puzzle of American intervention in the fate of the Ukrainian Orthodoxy." In "Subjective summary" on September 16, the lion’s share of the broadcast was devoted to the tomos. The message is the same: "The split of the World Orthodoxy turns into probability from a terrible possibilty. Two envoys arrived in Kiev without any consent of the Ukrainian Orthodox Church, canonical, recognized throughout the world." But the new conspiracy theories are added: "Perhaps, all this is done in order for the Ukrainian Greek Catholic Church to absorb this future autocephaly? Perhaps, the statement of the official Vatican that they are not moving east - is just a smoke cover for local Ukrainian games and numerous special services that are sporting in Ukraine as at home. 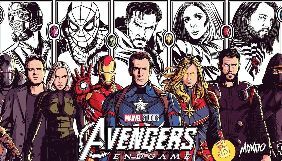 We have already played these games." Let us continue pressing: "I believe that we all need to prepare for the worst, because the cardinal [religious] division of the country may be, again, the first serious step for us to go to the next point of separation of the country itself. We have already passed something like this: a reference to the newcomers, to repressions against patriarch Tikhon – all this is not without reason in the history of our church. " Let me remind you that in Ukraine now there are over 50 religions coexisting in a civilized way. Several Orthodox Churches have signed the appeal for autocephaly, 35% of Ukrainians support the establishment of an independent church. Vyacheslav Pikhovshek regularly emphasizes the mysterious influence of the United States in Ukraine and wherever. 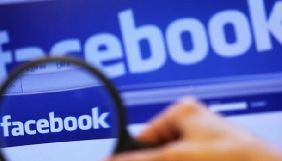 On September 10, he spoke on the Prosecutor General's Office's access to the information from the phones of Natalya Sidletska and Khrystyna Berdynska: "There are two goals in this story. The first one is to intimidate journalists. 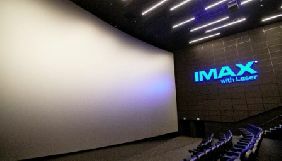 If these authorities so persecute journalists who are affiliated with the Americans (Radio Svoboda), that is, the main sponsor of the current government, one should not think that these authorities do not understand that the IMF mission has now arrived and therefore pressing the journalists who are paid by the USA is not timely. On the contrary, everything is much simpler: beat yours so that others would be afraid." In the same broadcast, he cites the Russian TASS: "The International Committee of the Red Cross can not confirm or refute reports on the use of phosphorous ammunition in the Syrian province of Deir-ez-Zor by the American airforces on September 8... The Red Cross also seems to be coming over to the Americans." On September 11, Pikhovshek said, “the Americans stand behind” the Director of NABU Artem Sytnyk. In an instant, Vyacheslav speculated on the "merging of pro-American leaders in Ukraine": "The page of the Ministry of Economic Development and Trade on Twitter reports that Kubiv, the First Vice Prime Minister, Minister of Economic Development and Trade, met with representatives of the United States Agency for International Development in Ukraine. It informs that they discussed thye initiatives, namely, new support programs: 61 million dollars for the overall recovery of the East of Ukraine. Thatis, threekopecks. 60 million to support economic communities and democratic governance of the East of Ukraine. Godknowswhatthisimplies. Perhaps, the upbringing of a new generation of pro-American leaders in Ukraine. 35 million to strengthen the public media role – it is already interesting. That is, it is on pro-Western propaganda precisely in the segment of local mass media in Eastern Ukraine." He calls "European Truth" "a voicer of Western propaganda in Kyiv" (September 11), and Hromadske Radio - "an American resource, a western resource" (September 13). Incidentally, the Institute of Mass Information was awarded the title of "Fake Institute" from Pikhovshek (September 16). The fact that Ukraine is losing is the keynote in Pikhovshek’s estimates. "Our country was born on Monday. Hontareva was engaged in the recovery of the banking system of the country, whereafter the banking system lost 260 billion hryvnias, according to Serhii Taruta, a People's Deputy of Ukraine. And lost exactly one third of the banks. Now Hontareva switched to Suprun's domain, began dealing with medicine. Whyis such punishment for our country?" (September 10). "Novak, Head of Ukravtodor, told in an interview why the asphalt in Ukraine melts along with snow. It turns out that works on the repair of roads are not covered by guarantees, because it is aimed exclusively at temporary provision of travel ... Tell me, whether your EuroMaydan stood for this, for such words, for such explanations?" (September 10). "The moment of legitimization of the Ukrainian authorities is the assessment of certain reforms by the West... People who called themselves pro-Western political elite, thus, have secured themselves from bullying from the West, as they believe, in any case. They allow themselves doing what former regimes, including those Shabunin calls anti-people, never allowed to do" (September 11). "Lutsenko said he had known that his rest in the Seychelles would become known and that this would cause a negative public reaction. Buthecouldnothelp but go... Olena Lukash (Minister of Justice during the presidency of Yanukovych — MediaSapiens): This is masquarade, they are not government officials. Theyarethosedressedin togos of statesmen. Thisiszits-Lutsenko, zits-Poroshenko. Thesearetemporaryrulers... He went to Seychelles not because he wanted to celebrate the 30th anniversary of his family life with Irina Lutsenko. Hewentbecausehespits on everybody. Spits on you, dearviewers" (September 11). "The press service of the Kyiv prosecutor's office reported the disclosure of a criminal group in the capital which consisted of former officials who, thanks to the falsification of documents, have appropriated 16 real estate items... This is a clear and precise signal about what real protection of property rights in Ukraine looks like: forgery of BTI seals and more" (September 13). "Ukrainian News Agency" reports that Poroshenko's income for the current year has already exceeded almost five times his income in 2017. Very simple assessment: I think you understand what is happening when Poroshenko's income is five times higher than his income in the previous year in a poor country, an impoverished country, which is flowing into an economic abyss" (September 13). During the celebrations on the occasion of the Day of the Rescuer of Ukraine, Poroshenko ... stated about the significant decrease in the number of emergency situations in recent years ... From my point of view, all of Ukraine is one entire emergency" (September 13) . However, everything comes to its place when you listen to Vyacheslav Pikhovshek in "Subjective summary" on September 16. "In Ukraine’s history, there was such thing when the debts were repaid to the IMF. Mykola Azarov did that. In Ukraine’s history, under the former, so to speak, the "anti-people regime", it has never been the same as it was under Poroshenko, under Turchinov, under Yatseniuk and Hroysman. When the gas price was raised four times in a row," - says the author. That is, the fact that Azarov took a loan from Russia in the amount of 15 billion dollars (under the guise of Eurobonds) saying that "Russia saved Ukraine from bankruptcy", apparently, simply fell out of Pikhovshek’s memory. Moreover, Ukraine is now steadily paying under IMF loans: during 2017 Kyiv transferred almost 1.3 billion dollars, and got 1 billion dollars. Let us finish reviewing "subjective assessments" by Vyacheslav with the case of Kateryna Handziuk, a Kherson activist, who was abused by the attackers with acid. Here Pikhovshek even surpassed himself: in three broadcasts, he repeats the nonsense, saying that Kateryna was poured over because she has a "pro-Russian position". That is as if in Ukraine, people who speak for Russia are persecuted - a message of Russian propaganda. 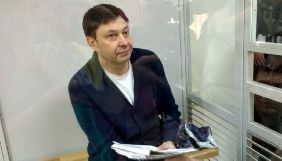 On September 10, Pikhovshek says: "The publication in the newspaper "Day" on the case of Handziuk, regarding the trial, very briefly states that these attackers have accused this Handziuk of being pro-Russian. Isthisthemotive? Was this the contractor who set the performers by explaining that Handziuk was somehow pro-Russian? " I took the effort and found a post in the newspaper "Day" about Kateryna. There it was written in black and white: “Police does not say a word about the versions of the attack yet. He is most likely associated with the public activities of Kateryna Handziuk, who is known for her rigid stance and the struggle against pro-Russian forces, corrupt politicians, and also against certain police representatives". That is exactly the opposite of what Pikhovsek said. Also, DW writes: "Kateryna Handziuk is a public figure and a volunteer known in Kherson for her pro-Ukrainian position." But this did not prevent Pikhovshek from repeating his words, referring to the Day newspaper, in two (!) following broadcasts: "But could Lutsenko at least explain what those people who were called the perpetrators of crimes meant when they said the motive was allegedly anti-Russian activity" (September 11); "Once in the newspaper "Day", it was said that this Handziuk was suspected of excessive pro-Russian position. But nothing more concrete." (September 13). 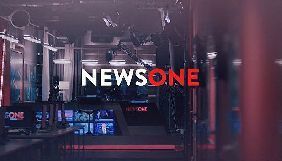 "Subjective summary" on NewsOne on September 7 suddenly started to be made by who is quoted by Vyacheslav Pikhovshek in "Chronology" - Olena Lukash. During the Orange Revolution, she defended Viktor Yanukovych's interests and defended one of the leaders of the Party of Regions, Boris Kolesnikov, in court. In 2013, Yanukovych appointed her as Justice Minister. As early as in May 2015, the Prosecutor General of Ukraine reported that Lukash was suspected of "holding state funds through the abuse of office". In November, she was arrested, but released, because Vadim Novinsky, a People's Deputy of the Opposition Bloc, pledged UAH 5 million. In March 2016, the Prosecutor General's Office suspended the investigation of the case against the ex-minister. In June this year, the head of the special investigation department of the PGO Serhii Horbatiuk told DW: "The case of the former Justice Minister Olena Lukash has already been ready to be transferred to court for one and a half years, but the Deputy Prosecutors still do not even sign the suspicion to her. Lukash is a lawyer, and according to the law, only principal officers of the prosecutor's office can sign the suspicion to her." However, while the Prosecutor General's Office is getting into the case, Ms. Lukash has hours at NewsOne to tell what she thinks about the current socio-political life in Ukraine: "A distorted reality, where lies are true, and war is peace. Hypocritical bosses deciding who and when to perish or to run. Patriots dressed in embroidered shirts on call: nothing personal, just business ... Anti-natural reforms aimed at reducing the population ... False speeches, which have long been not camouflaging a real war. A war without an announcement started against every citizen of Ukraine". Lukash convinces that "Ukraine is being turned into North Korea," because Petro Poroshenko wants to supplement the Constitution with words about the European identity of the Ukrainian people and the irreversibility of the European and Euro-Atlantic course. And, in general, this issue is raised only in order to divert Ukrainians’ attention from the problems in medicine and the hryvnia exchange rate. Of course, the persecution of "all the media that show the truth" was here. The language issue is being raised again, which is raised before every election. Lukash is afraid of the forced Ukrainization and destruction of people: "I sincerely do not understand those who impose it [Ukrainian language]. Provincial, narrow-minded thinking and a deep sense of inferiority do not allow them to assess the uniqueness of Ukrainian bilingualism and the wealth of other native languages of Ukrainians... How can one try to impose the Ukrainian language in Ukraine, which they also annihilate with the Ukrainians?" According to Lukash, the educational process is also bad in Ukraine: there are no books, children become stupid. Medicine "is beingliquidated", the vaccines are forbidden, and Ulyana Suprun is currently only interested in "the safe alcohol dose". 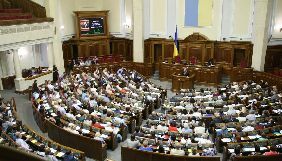 The icing on the cake of the statement of the former minister was the quote of Speaker of the Verkhovna Rada Andriy Parubia about Hitler, torn out of the context. As MediaSapiens already wrote, the first to manipulate with Parubiy’s words was the Russian resource "RIA Novosti". But for Lukash, this is another "subjective conclusion". "I consider the opinion of Parubiy about Hitler as the general opinion of all the representatives of the Yatseniuk’s People's Front, a party to which Parubiy belongs... It did not even criticize for such a cordial attention to the democratic practices of the Nazi Hitler. Moreover, this, I believe, is the position of a coalition that does not change such a speaker, and all authorities that ignore such a statement. The process of attempting to heroize the Nazis is gaining momentum," says Lukash, relaying the Russia’s message. On NewsOne, "Subjective summary" is amazingly synchronous. 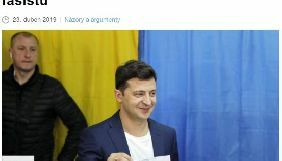 The same Ukrainian officials are scolded by both Vyacheslav Pikhovshek, Olena Lukash, and Dmytro Spivak, a deputy from the Odesa City Council (Batkivshchyna Party). Dmytro also has "reserved" hours of broadcast on NewsOne, where he shares his thoughts. On September 18, for example, he was extremely indignant with the Suprun’s words that the plans of the Ministry of Health were to open "transplantation centers in four cities". This problem exists, and the patients require its solution. However, the solo performance by Spivak turned into a stream of groundless accusations against Suprun. He binds the transplantation problem to the prohibition of the Pentaxim vaccine. First, it was banned by the State Medical Service, and not by the Ministry of Health. Second, it is impossible to realize only two series of this medicinal product, which was imported with violations of the law. However, Dmytro Spivak obviously does not take into account the real situation. In his "conclusions" he invents other decrees: "By the decree of the Acting Minister of Health Suprun it is prohibited to sell the vaccine "Pentaxim" - this is from tetanus and diphtheria. You know what for and why? There's an instruction in Russian, therefore it must be banned. We do not have other vaccines, let people die. Well, there are no vaccines, the money for treating people abroad has ended. Generally, money ended and there is lack of drugs and medicines, there is no money for the treatment of cancer patients." We detailed the situation here. The problem with the funds should not be decided by the Ministry of Health. 389 million hryvnias, previously received by the Ministry, were spent on the treatment of 141 people. Now, officials have appealed to the Ministry of Finance and people's deputies to support the allocation of a new amount. But Dmytro has an authorial program, so one can say there whatever he wants. He further says that the ministry spends money on some "15 laboratories dealing with viruses", and Ulyana Suprun "plays stupid." The monologue is also finished with extravagance: "You see, she wants to make us crazy. True ... A disaster! But the most disgusting thing is that these two ladies – Hontarieva and Suprun - are just such a spit in the face of everyone living in the country." But further, the inventings of Dmytro Spivak reached the stratosphere. He quotes the Foreign Minister of Ukraine Pavlo Klimkin that all Russian diplomats working on special services of Russia have been expelled from Ukraine. Spivak says that he did not quite understand the quotation - perhaps he does not choose them for the broadcast - but expresses his opinion on this. He changes the words of Klimkin and makes the following: "Roughly speaking, he said that all our consuls are practically traitors and work for Russian special services. Well, ours here, ours in Moscow, ours here, well, everyone has been accused of "betrayal." I have a question to the head of the state then: Are you aware of all this? If you are aware, then when will you get them all fired? And if you are not aware, did Mr. Klimkin have the right at all to so screw over his leader - the head of state - to humiliate our country. Did he have the right to once again make a loughing stock of Ukraine?" Dmytro Spivak’s words do not even amount to "subjective conclusions". This is a banal misconception of fictional facts, expressive vocabulary, quotations torn from the context. As was described above, such manipulations are used by Olena Lukash and Vyacheslav Pikhovshek. Do they realize that they translate the theses of Russian propaganda? Subjectively speaking, yes. I think, it is impossible to fail to notice coincidence. Once Lina Kostenko spoke about the "defect of the main mirror", which made everything bad worse, and good was diminished. It seems that in the "Chronology of the day" and "Subjective summary" on the NewsOne, they incorporated this principle when speaking about the life of the country. P.S. Vyacheslav Pikhovshek decided to respond to this text in one of the broadcasts of "Chronology of the day". He was outraged by the misprint in the abbreviation and the fact that I name the Ukrainian Orthodox Church (as it is registered) the Ukrainian Orthodox Church of the Moscow Patriarchate in the text. This name was used to distinguish the UOC of the Moscow Patriarchate and the UOC of the Kyiv Patriarchate. Also, the reference of the Moscow Patriarchate is used in the documents of this church and on signboards. However, Vyacheslav, of course, has the right to use the official name of the UOC. Concerning the regalia of the Patriarch of Jerusalem and Palestine Theophilus III, they look completely as follows: His Beatitude Patriarch of Holy City of Jerusalem and the whole of Palestine Theophil III. Nobody denies this. Concerning the attack on the executive officer of the executive committee of the Kherson City Council Kateryna Handziuk. Over the course of several months, the media reported on her open pro-Ukrainian position. It was hard not to notice this information. However, as it turned out, Pikhovshek refers to this publication of the newspaper "Day" (August 21), with the words of the attacker as if they had been ordered to commit a crime, because Kateryna was a "corrupt official with pro-Russian views." On August 27, Kateryna Handziuk’s lawyer Yevheniya Zakrevska called this "motive" a fiction. She pointed at the written gratitude "for the help and support of volunteers" earlier handed to Handziuk by the fighters of the "5th Battalion of the Ukrainian Volunteer Army". The suspects in the attack belong to this paramilitary formation. Vyacheslav Pikhovshek, however, missed such victim's lawyer's remarks, focusing on Kateryna's apparent “pro-Russian stand” in three broadcasts (September 10, 11 and 13)." 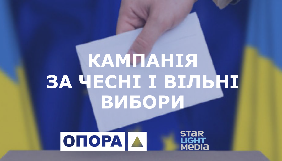 Що не так із NewsOne?